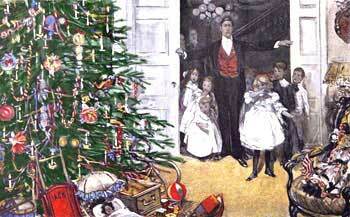 Victoriana Magazine has created a “Victorian Christmas” theme holiday card from an antique engraving. This print has been hand-colored and digitally enhanced to print … cut-out … and spread holiday cheer. Just print on cardstock paper, cut on the dotted line, add your own message, then share with friends and family. Use as a Christmas card, gift tag, or a place-card on your holiday table. 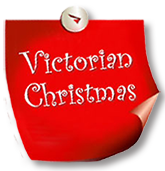 Our Christmas card is free for Victoriana Magazine Facebook fans – just click ‘Free for Fans’ for all our free ebooks and downloads. 1. 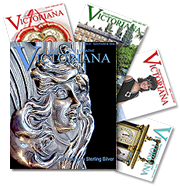 Visit the Victoriana Magazine page on Facebook. 2. Click "Free for Fans" tab at top. 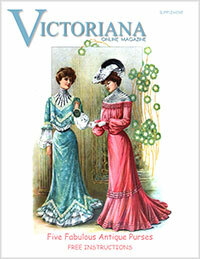 Tab gives you access to ebooks, crafts, cards, prints & vintage paper dolls. Not a member of Facebook? Its free and anyone can join.